TV Screen Is Green – What To Check – How To Fix? I turned on my TV and the screen is green. I have checked and made sure there is no interference and that everything is turned ON. I have tried using the DVD player, my SAT box, and the Antenna. After using these different TV inputs the screen is still green. This shows that it is a problem with the TV. This is an older TV but it has a large screen so I would like to fix it. What would cause my TV screen to turn completely green? HINT: The most common reason for a Green Screen on a TV is a loose or damaged cable connection of a media component to or from the TV. Check to be sure the cables that carry the video signal to your TV from your SAT box, CABLE box, DVD player, ROKU player, etc are secure and not damaged. Many times the cable will be connected into the TV or media device, however the cable that transfers the video signal is damaged internally and needs to be replaced. Check all cables (HDMI – COAX – RGB – COMPONENT) from the TV to the components you have connected to it. Wiggle all cables while the TV is ON and see if the picture changes. If you suspect any cable to be bad or damaged, replace it with a brand new same type of cable. 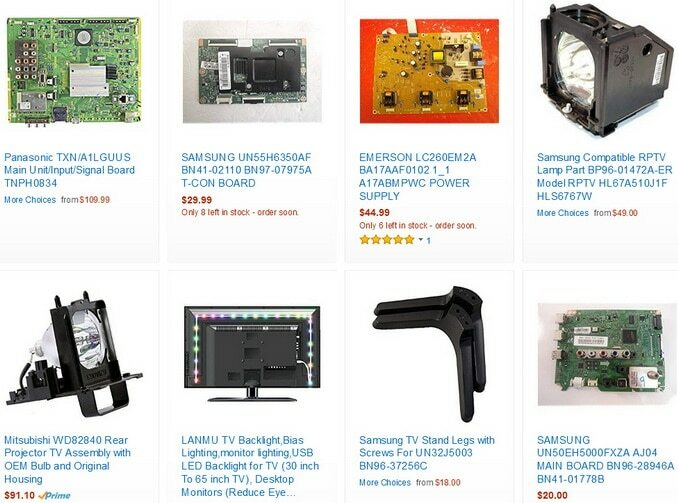 – Depending on the TV type you have, whether a TUBE TV, Projection TV, Plasma TV, LCD HDTV, it could be a multitude of reasons. If you have an older TUBE TV or CRT, then most likely you have a type of magnetic interference, possibly from the speakers that cause the screen to turn green. A blown or loose internal TV speaker can cause a TV screen to turn green. If a magnet comes to close to certain types of TV screens, the magnet will make the TV picture green. – You may also have an external speaker too close to your CRT TV screen. Magnets are used in all speakers. If an external surround sound speaker is close to the CRT TV screen, it may turn green. Move the external speaker away from the screen and the green screen should disappear. – If the green screen is on an older CRT or tube TV, the tube or tubes may be faulty and causing the green screen. Replace the tube in the older TV if found to be bad. 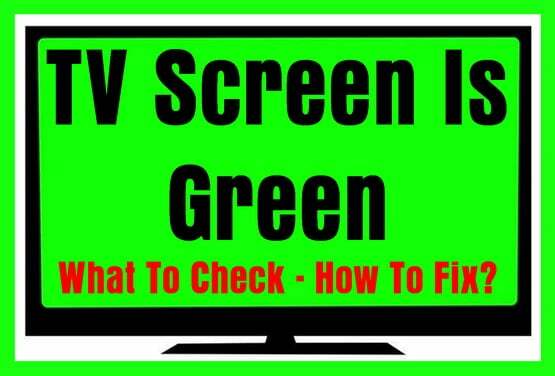 – If the “green screen” is showing on a Projection TV, then the RED picture tube is faulty and needs replaced. A projection TV can also turn green from any type of magnetic interference. Be sure there are no external speakers near the screen. Also check to see if the internal speaker may be out of place or blown as this can cause the green screen to appear on projection TV’s. There is most likely a loose or dirty ribbon cable inside the TV. The inside of the TV can collect dust and gunk up the connections and the ribbon cable that goes to the video board may need to be disconnected and cleaned. Oxidation and dirt can accumulate and cause the connection to become dirty. A loose ribbon cable can also cause the green screen on an LCD HDTV. – In other types of TV’s, the video drive chip may be faulty. A faulty video drive chip can cause either a red, green or blue (RGB) issue. The board will need to be checked and if faulty, replaced. If troubleshooting your TV with a green screen leads you to open the TV up, use extreme caution as voltage can still be in the transformer even after unplugging the TV. Always unplug your TV 2 hours before opening it up to fix a part, check for loose ribbon cables, or replace a board. TV screen is green, but I am able to watch DVD’s. What could be the problem? I had lots of green tint on the TV. I took off the back and disconnected all the wide connections, blew of dust and put everything back together. Now my $50 thrift door flat screen TV is beautiful! Previous post: Haier Refrigerator Error Codes – How To Clear?